CWR's Xu looks back at a tough year for China but sees transformations ahead - make sure to stay on top of them! China’s “Two Sessions” (两会, lianghui) of 2019 have wrapped up. In 2018, China achieved a growth rate of 6.6%. While this number is slightly better than expected and interpreted as “within a reasonable range”, it still represents China’s slowest year of growth since 1990. 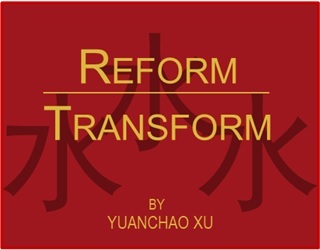 This has been attributed to a series of challenges which emerged in 2018 (China’s 40th anniversary since “reform and opening up”), including the trade war, government debts, over de-leverage and the lack of liquidity for non state-owned enterprise (SOEs). However, staying true to his resolution to build a Beautiful China, President Xi has again stressed how important it is to stick to the construction of an eco-civilisation and the prioritisation of ecology. Pollution control, as one of the three tough battles (the other two are preventing financial risks and reducing poverty) for the Chinese government, will be further continued in 2019. The Yangtze River Economic Belt (YREB) will still be the focus of the construction of eco-civilisation, with the help from the legislation of the Yangtze River Protection Law. The battle to tackle pollution has had some short-term impacts on the economy. Some highly polluting enterprises have experienced shut downs or production cuts, which has impacted the local economy of some regions. Some local governments even saw environment protection as the obstacle to local development. 2018 was a tough year for China. With downward pressure on the economy, will China continue its eco-civilisation construction? President Xi has given the answer. During his visit to the Inner Mongolia delegation, President Xi again presented his resolution for eco-civilisation construction. He stressed the importance of Inner Mongolia as a belt of ecological security and beautiful landscape in Northern China. He also believed that pollution control and environmental protection is a crucial step towards the transition of China’s economy from “high speed” to “high quality”. President Xi also noticed some issues in balancing economy and environment and stated that “Blindly launching projects should be prohibited even when there are difficulties in the economy because they sacrifice the environment for economic growth and break ecological red lines,” and “We must strive to get over difficulties and firmly stick to ecological environmental protection”. Xi’s resolution has also been reflected in the government work report of 2019. Lowering the density of main pollutants is still a key target for 2019. The three wars on pollution (war on air, water, soil pollution) will continue to be pursued. In a word, realising an eco-civilisation is tough, especially given China’s current situation, but it is still happening. An “environmental protection storm” became quite a popular and striking phrase in 2018. Wherever the storm went, local enterprises became horrified and concerned about production cuts or shutdowns. In the beginning of the storm, some local administrations hoped for quick success and arbitrarily/completely shut down projects/factories to get through the environmental protection inspection. However, this “one size fits all” approach is neither sustainable nor a purpose of the inspection, and has brought negative impacts to local residents. As a result, the Ministry of Ecology and Environment (MEE) published the “Working Opinions for Prohibiting the ‘One Size Fits All’ Phenomenon in Environmental Protection” at the end of May 2018, just before the review of the inspection. Li Ganjie, the minister of MEE also stated in the “Two Sessions” that the “one size fits all” phenomenon is to be strictly prohibited. In the government work report of 2019, Premier Li Keqiang further stressed that “enterprises as the main body of environmental protection need to be properly guided, helping them to comply with corresponding regulations and standards”. In the subsequent “Two Sessions” press conference, Li Ganjie summarised progress in prohibiting the “one size fits all” phenomenon and further proposed that in the future, environmental enforcement needs to be standardised and service-minded – environmental enforcement will not only inspect but also help enterprises to get over difficulties and comply with certain regulations and standards. The Yangtze River is vital to China and the global economy. Many global suppliers are located in the Yangtze River Economic Belt (YREB) but the regulatory environment and actions taken in the YREB can cause a fluctuation along global supply chains. The Yangtze River clearly concerns President Xi the most. In President Xi’s previous visit to the Yangtze River, he sadly described the Yangtze River as a seriously sick person. “Big protection rather than big development” has since become the mantra for the Yangtze River. Apart from the above, Li Ganjie also mentioned that ecological compensation in the YREB is being actively advanced, where upstream regions are compensated for ensuring clean water for downstream reaches. The Yangtze River spans a lot of provinces, providing abundant cases for exploring such an ecological compensation system. In 2018, financial support of up to RMB5bn was provided to facilitate ecological compensation in Yangtze River basin. This year MEE will further expand the use of this economic scheme. The government work report of 2019 also viewed the YREB from an economic angle. It promoted the coordinated development of the upper, middle and lower reach of the Yangtze River and planned to build a comprehensive transportation system in YREB. Moreover, the environmental legislation work for the YREB will also progress in 2019. The “Yangtze River Protection Law” (YRPL) will be legislated, as pointed by Zhang Yesui, the speaker of the 13th National People’s Congress (NPC). The YRPL was listed in the legislation plan in September 2018 and the draft was submitted at the end of the year. The purpose of the YRPL is to protect and improve the ecological environment of Yangtze River and promote the sustainable use of resources & the high-quality economic development. Jiang Bixin, the vice-president of China’s Supreme Court, said that the YRPL will be important and provide basis for cases related to environmental resources. The Supreme Court will comprehensively categorise the problems, conflicts and shortcomings through careful investigations, and then submit them to the National People’s Congress to help with legislation. Apart from a vast land area, China also governs a large body of water. However for a long time in history, instead of reaching out like western countries, China did not attach much importance to the ocean and chose to isolate itself until modern times. In the 18th National Party Congress, China proposed to be a maritime power and put the National Maritime Strategy and the Marine Fundamental Law Legislation on the table. The “One Belt One Road” initiative further demonstrates China’s new ambition to reach out and globalise. Heavy pollution and ecological pressure. Although China’s marine ecological environment quality has steadily improved in recent years, China is still facing serious environmental risks in its oceans. Data shows that about 10% of China’s bay areas are seriously polluted, over 17% of the coast are eroded and about 42% of the coastal areas have exceeded their ecological capacities. Wang Jinnan, the president of the Chinese Academy of Environmental Planning of MEE, suggested in the “Two Sessions” that “ocean development should refer to the successful experiences from the ‘Air Ten’, ‘Water Ten’ and ‘Soil Ten’ to enact the ‘Ocean Pollution Prevention and Control Plan’ (Ocean Ten)”. In the government work report, the development of a “blue economy” and ocean environmental protection also became a key task in 2019. In a similar vein, Ma Huateng, the CEO of Tencent has proposed the construction of national ocean parks. From the policy side: the property right of nature reserves needs to be clearly determined through the legislation and amendment of corresponding laws including the “National Park Law”, the “Nature Reserve Law” and the “Property Law”. The administrations in nature reserves should be entitled with the administrative power within nature reserves. From the research side: the investment in national ocean parks needs to be increased. As Ma suggested, there should be two to three ocean parks in the first batch of national parks by 2020. From the technology side: a national big data platform needs to be established to help with the data exchange and the effective use of biological information, as well as the standardisation of national park constructions. Public participation should be incorporated in the big data platform to raise people’s awareness of ecological environment protection.